I would love to go there – Sweden. Now I can get a little glimpse of it at Pernilla’s. Occupation: I work at a Montessori Preschool. Location: I live in a city called Helsingborg, located in the southern parts of Sweden. 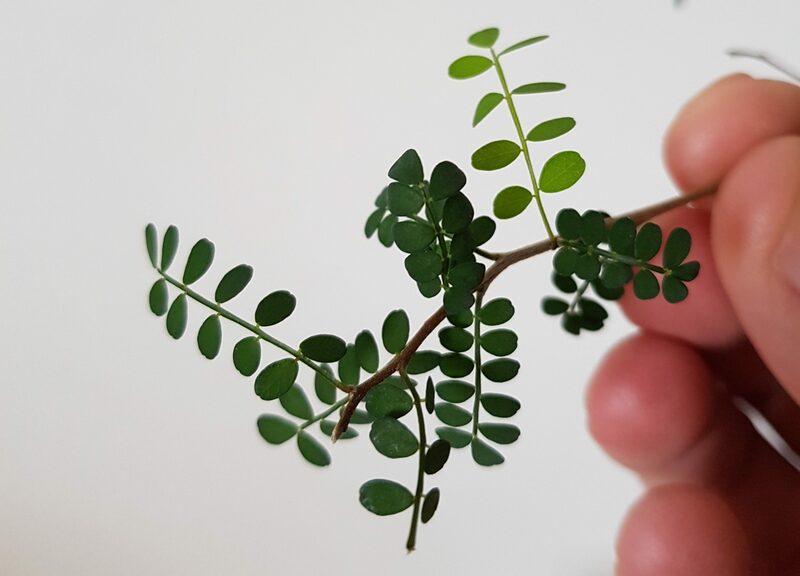 How long have you been into plants and how did you get introduced? I have always been into plants. My mom worked at a garden centre as a florist. This inspired me to study and become a florist. This has later on become more of a houseplant thing. Where are your plants located? 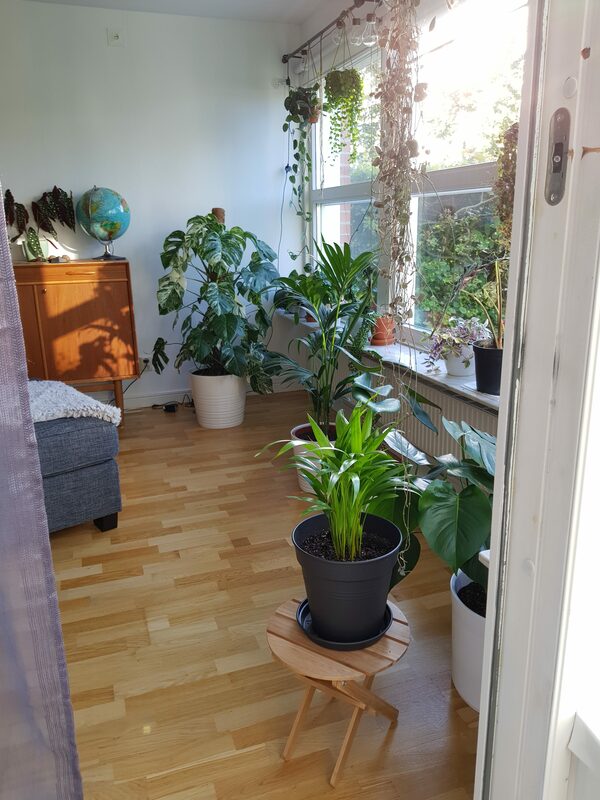 I have most plants in my living room by a large window section facing north/northwest. Usually there is a lot of bright indirect light, which seems to fit most plants that I have. Of course, there are plants in every room, but my favourites are in the living room. Name any benefits you get from your plants: The plants give me peace and quiet. I love to take care of them and watching them grow. What are your favourites? I love hanging plants and “big leaf” ones. My favourites are Dischidia nummularia and Monstera deliciosa. Can you share the biggest challenge you have had with your plants? The biggest challenge with my plants has to be space/places to put them! We need a bigger house! Can you share one mistake you made as an indoor gardener? I do not have any major mistakes historically as a gardener. Perhaps I did over water my plants in the beginning but that is fine now. If your plants were to be taken from you and you could only keep one, which one would it be and why? 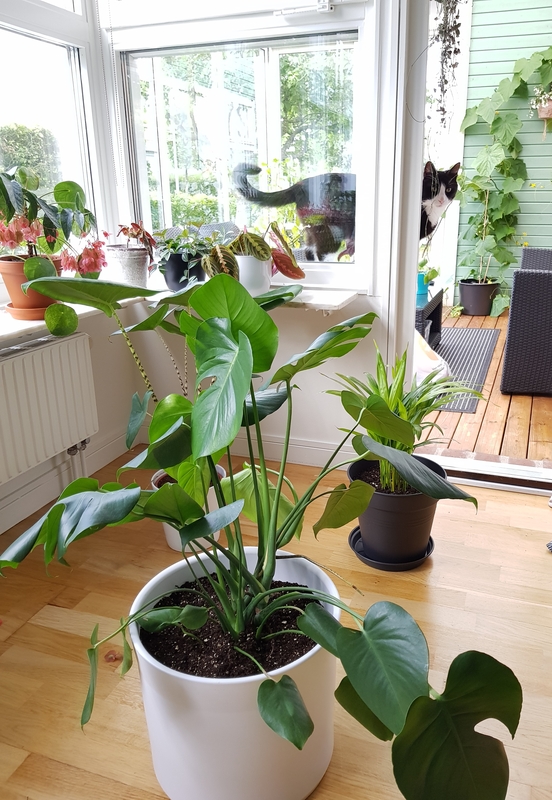 The one plant I would keep for sure is my BELOVED Monstera deliciosa ‘variegata’! Best advice you can give about any aspect in taking care of plants? Find a good spot in your house with good light. Also, buy a moisture meter for plants. This helps a lot in getting to know your plants, and when they need water! 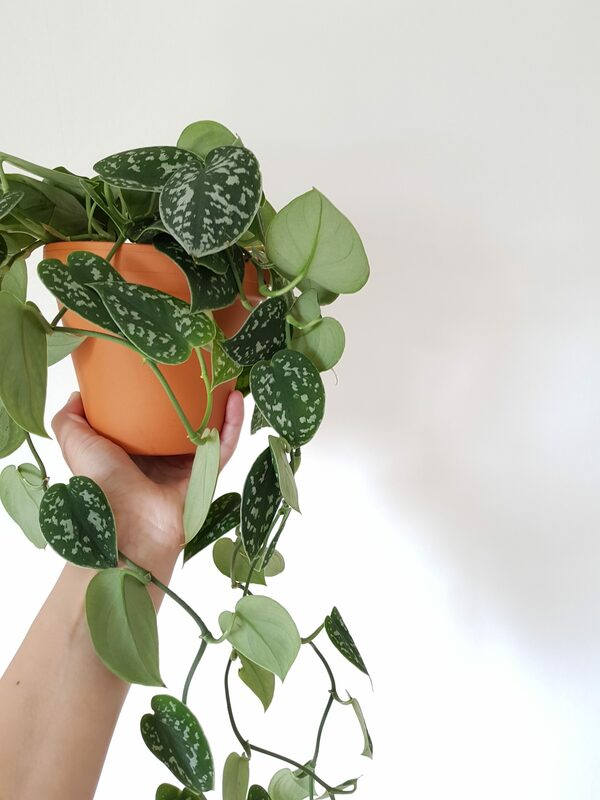 Where can we find more of you and your plants? 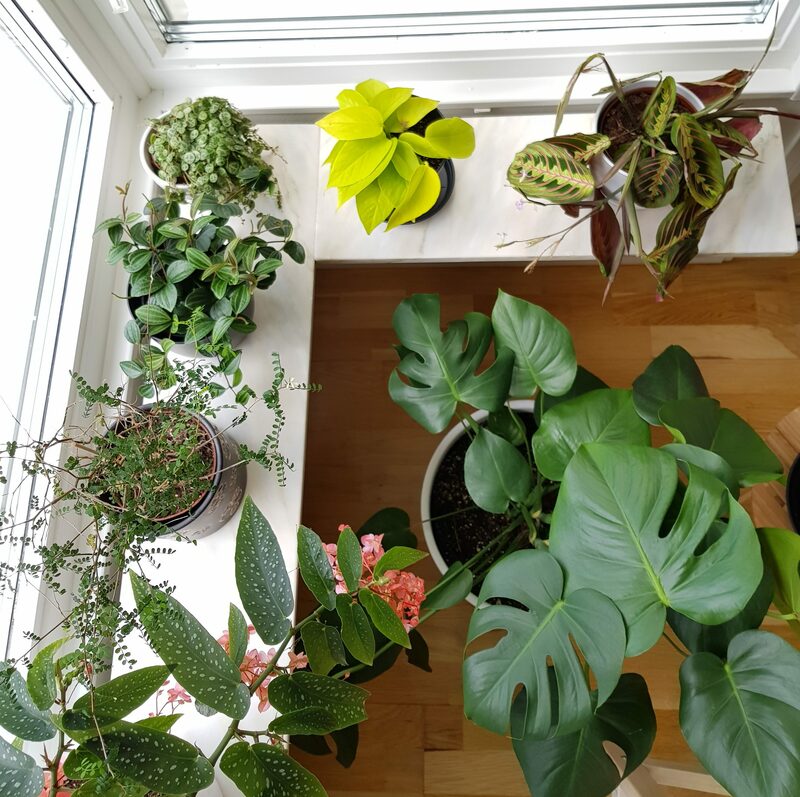 You can find my plants and I on Instagram, @Pl4nts_ (https://www.instagram.com/pl4nts_/). Thank you Pernilla for sharing your home and plants with us. I love your polka dot begonia and dischidia! What was your favourite? 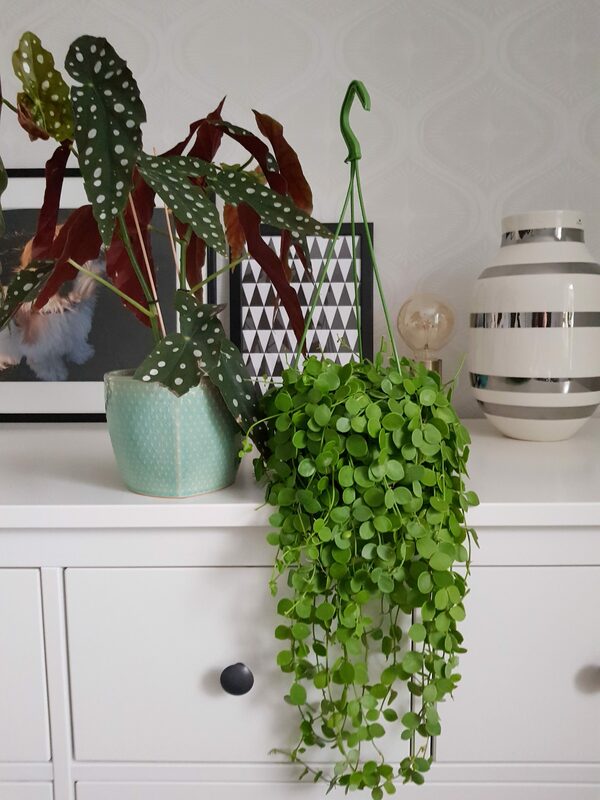 I am in love with the hanging plant in the second photo from the top of this post. Would anyone mind telling me what it is called? Thanks! 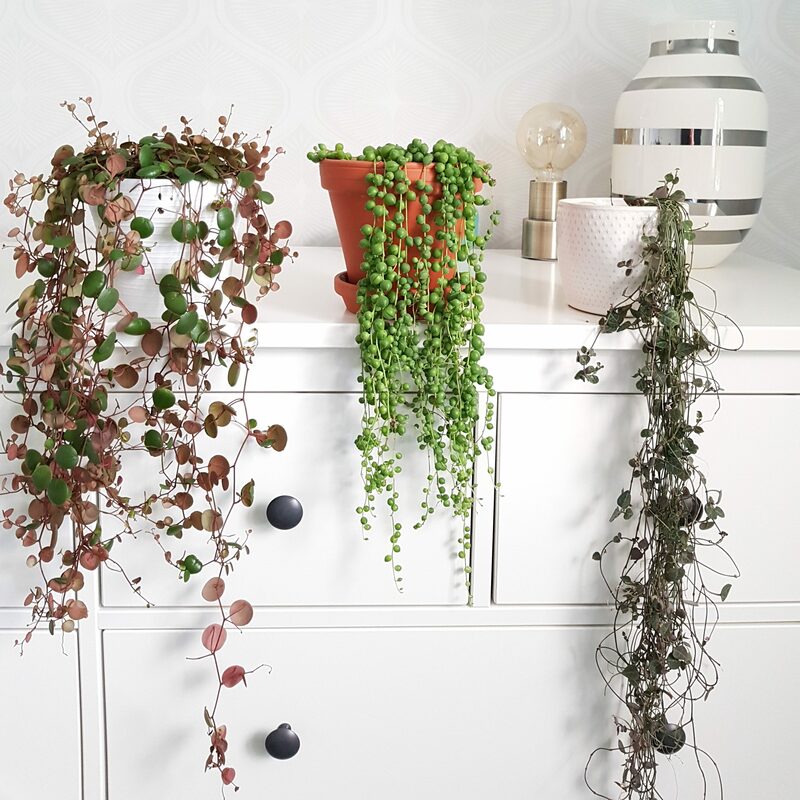 If you mean the plant sitting next to the polka dot plant, I think it’s a button orchid aka Dischidia nummularia (aka string of coins, string of nickels). Hope this helps.